A REPORT INTO motor insurance compensation has been launched by Finance Minister Michael Noonan. The review, jointly carried out by the Department of Finance and the Department of Transport, Tourism and Sport, has made a number of recommendations. 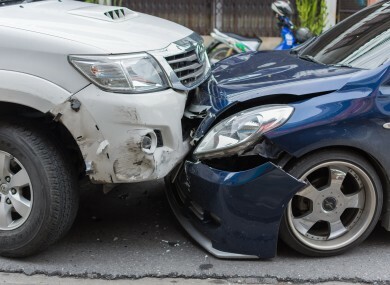 It calls for coverage of the Insurance Compensation Fund (ICF) to be extended to include third party motor insurance claims in the event of an insurer being liquated. The report notes that the “uncertainty” over compensation arrangements that followed Setanta’s liquidation “highlighted weaknesses with the current insurance compensation framework in Ireland”. The current framework has the potential to leave individuals who have suffered damage or injury through no fault of their own waiting for a significant period for any compensation; it creates an inequity in the compensation of third party motor insurance; and, potentially makes the Irish motor insurance market unattractive to new entrants due to the uncertainty over the operation of the compensation framework. framework in January 2016, and met with a number of stakeholders and assessed the current framework. The report states that the the level of cover from the ICF for third party motor insurance claims should be increased from 65% to 100% in line with that currently provided by the Motor Insurers’ Bureau of Ireland (MIBI). The increased coverage will be funded by a direct contribution to the ICF from the motor insurance industry via MIBI to the value of 35% of the third party motor insurance claims. The report continues: “An issue arose as to which fund or scheme is liable to cover the Setanta claims (the Insurance Compensation Fund (ICF) or the Motor Insurers’ Bureau of Ireland (MIBI)). Legal proceedings commenced in April 2015 between the Law Society of Ireland and the MIBI. In September 2015, the High Court ruled that the MIBI was liable for the claims in respect of Setanta Insurance. The MIBI subsequently appealed this decision and in January 2016 the Court of Appeal upheld the High Court judgement. The MIBI has been granted leave to appeal the decision to the Supreme Court. Read: What on earth is going on with motor insurance premiums in Ireland? Email “This is how drivers will be protected if a motor insurance company collapses ”. Feedback on “This is how drivers will be protected if a motor insurance company collapses ”.